 How Do The Moon Phases Influence Gemini? The next full moon will occur in Gemini on November 23, 2018, and is going to turn you into a much more sociable person than you currently are. The full moon will encourage communication and boost your wit and logic, so get ready for a lot of action around this time period and enjoy it to the fullest. The only thing that may prevent you from feeling happy and relaxed is the stress you may suffer from. If you see that you’re participating in too many projects, have lots of tasks, and give a lot of your personal time to everybody who asks for it, just stop right now. Don’t forget that you should live your life for yourself! Can you confide in Gemini?